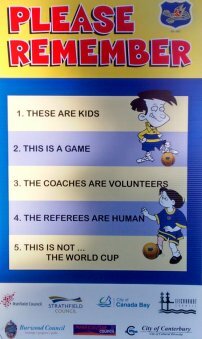 It is therefore the decision of the match official (referee), in accordance with Law 4, to determine what is approved to be worn by a player. Players are permitted to wear sports goggles, sports glasses or sports sunglasses as long as, in the opinion of the match official, they pose no danger to the player or other players. The Optometrists Association of Australia has stated that children involved in sport, requiring assisted vision, should wear protective eyewear such as sports goggles or sports glasses with soft or flexible frames fitted with a plastic or polycarbonate lens. While this statement endorses the wearing of modern sports spectacles this does not stop an individual referee refusing permission. The decision to allow a player to wear or not wear particular glasses or goggles under FIFA directives is still up to the individual referee. Click here For more information about children’s vision and sport.